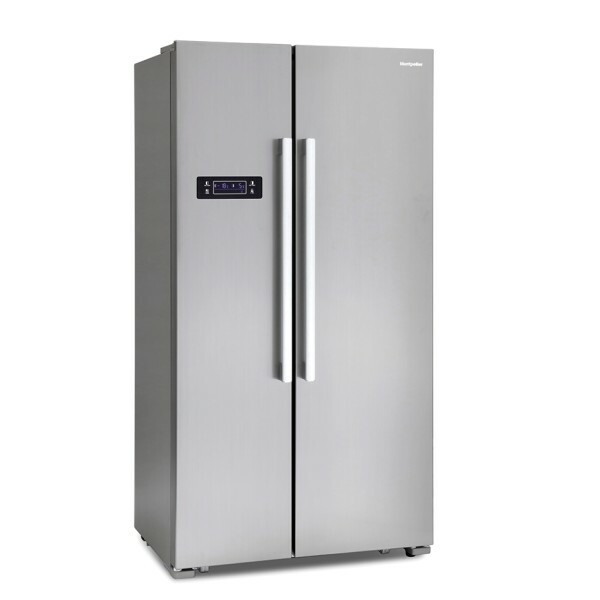 Product information "Montpellier M605X American Style Fridge Freezer"
The M605X is a classic American style side-by-side fridge freezer offering a large fridge and freezer capacity. Perfect for larger families, this fridge freezer has adjustable fridge and freezer shelves, drawers and door storage. The quick freeze function is great for quickly freezing any new foods that have been added and the no frost function maintains an even temperature throughout, so there won't be a build up of ice. To help save you energy and to ensure food stays fresh there is an audible alarm which triggers when the doors have been left open. There is a digital touch control panel on the front meaning that you can easily alter settings and temperatures at just the touch of a button. With a handy child lock, it's also safe from little inquisitive hands. Related links to "Montpellier M605X American Style Fridge Freezer"
Customer evaluation for "Montpellier M605X American Style Fridge Freezer"